I’ve been around adventure racing so long that it’s almost embarassing. I competed in the 1998 Hi-Tec Adventure Race, which no longer exists, after reading about it in Conde Nast’s Women’s Sports + Fitness. Which also no longer exists. 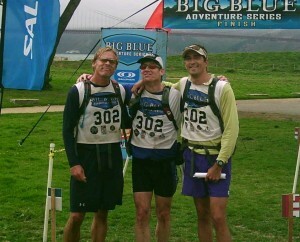 The fact that adventure racing still exists is largely because of races like the Big Blue Series. One of my first was the Half Moon Bay race, where I got to paddle on what is basically Mavericks territory. The swell, even on a flat summer day, was as awe-inspiring as the wildlife (which included porpoises and cormorants). I usually race with a small group of fellow elderly gentlemen — guys like Austin Murphy and Ken White. I like it because our pace is stately, and yet we tend to place well because of our “maturity” (which often looks like “cheating” to others). 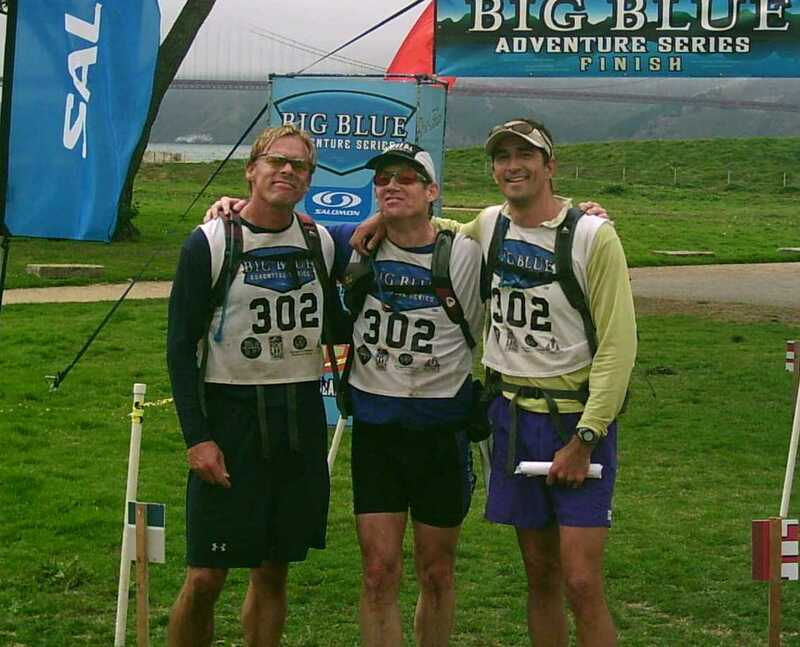 In fact, Austin and Ken and I won a bunch of schwag at Big Blue’s Golden Gate Adventure Race, mainly because I decided to steer our kayak across San Francisco Bay directly in front of a tanker — a move that more callow competitors avoided. Nowadays, I am trying to wean myself away from adventure racing, but what gives me special pleasure is introducing this great sport to first-timers. Doug Giles, my best friend from high school – who lives in Brooklyn and has little training opportunities — announced that he wanted to do a 24-hour race. I knew that the Kit Carson 24-hour race was the ticket, and though Doug bombed out spectacularly, the course was so gorgeous and we had so much fun that he got hooked on the AR anyway. A lot of people ask me about how to get into adventure racing, and after doing it for so long, I think I am finally realizing that just about anything can be adventure racing training: having a kid; surfing; hiking; even staying up late laughing with your friends. In that way, adventure racing seems a lot like life itself.